Pouring $586 million in Sina Weibo gives Alibaba Group several perks, including an inroad into social media and access to the microblogging platform’s data. Not only that, but its new 18 percent stake in Sina Weibo may also give Alibaba Group a leg-up as it seeks to promote its own smartphone operating system Alibaba Mobile OS (AMOS) as a rival to Android. As the Wall Street Journal writes, Alibaba Group’s investment in Sina Weibo means that it now has access to data generated by the platform’s 46.2 million daily users. This is on top of the 500 million registered users on Taobao, one of Alibaba Group’s e-commerce sites. “If you are a big Internet company and you are ambitious enough in the mobile space, you have to do more than apps. Otherwise, you are just a small species in an ecosystem controlled by others,” Alibaba chief strategy officer Zeng Ming told WSJ. Zeng said that Alibaba Group’s target for AMOS is to power 10 percent of all smartphones shipped in China, an ambitious goal considering that AMOS currently only has 1 percent market share. According to IDC data, Android currently holds an 80 percent chunk of the market, while iOS accounts for 10 percent. Though seven Chinese smartphone makers — KONKA, ZOPO, Amoi, G’Five, Little Pepper, Haier, and Beijing Tianyu–have pledged to launch AMOS phones, none of them are major players. Alibaba Group recently held a press conference in which it outlined its plans to leverage its e-commerce properties to get support from device makers, telecom carriers, and software developers as it creates an ecosystem for AMOS. Steps Alibaba Group is taking to promote AMOS include subsidies for smartphone makers and a 1 billion RMB ($162 million) funding program for app developers. The company is also striking deals with telecom operators that would allow customers to purchase AMOS smartphones without deposits or down payments by determining their creditworthiness based on transactions on Alibaba Group’s e-commerce sites. Furthermore, AMOS may stand to benefit from the Chinese government’s push to promote operating systems developed within that country, which has included attacks on foreign developers. For example, in March China’s Ministry of Industry and Information Technology issued a white paper that criticized the country’s dependency on Android, while Apple issued an apology earlier this month after a series of attacks by state-run media. Other OSes currently being developed by Chinese companies include Smartisan and Ubuntu Kylin. Station Casinos opened up the first real-money gambling website in the state of Nevada today with the debut of UltimatePoker.com. Nevada has more than its share of flashy casinos. But its newest high-stakes game will let Nevadans gamble in the comfort of their own homes. On Tuesday, Nevada became the first state where residents can legally play online poker for real money. The state legalized online poker in February, followed by New Jersey and Delaware. The hope is that such online gambling will generate billions of dollars in revenue for both companies and local governments collecting taxes. UltimatePoker.com will operate under a 30-day license as the site works out any problems before getting a permanent license, according to a Reuters interview with A.G. Burnett, the chairman of the Nevada Gaming Control Board. Other companies are following close behind, he said. So far, players have to be in the state of Nevada in order to play UltimatePoker.com. With UltimatePoker.com, players can compete for a daily prize of $1,000 or $10,000 on Sunday. Players must be 21 years or older. Internet gambling was banned by Congress in 2006, but the Justice Department relaxed rules in 2011, allowing states to explicitly approve online gambling on a local basis. Ultimate Gaming is headed by chief executive Tobin Prior and Tom Breitling, co-founder and chairman. Breitling came to Las Vegas in 1993 with $100 in his pocket. He set up an online reservations company and grew the business to $104 million in 1999. He sold the company in 2000 to Expedia for more than $100 million. In 2004, Breitling and his co-founder, Tim Poster, acquired the Golden Nugget hotel-casino properties for $215 million. Their operation became the subject of the Fox TV reality show, The Casino. In 2005, Breitling and Poster sold the Golden Nugget to Landry’s Restaurants for $340 million. Breitling published his autobiography, Double or Nothing, in 2007 and worked at Wynn Resorts from 2008 to 2010. Prior, meanwhile, was previously president of the International Gaming Division of Kerzner International. Startups targeted to businesses, rather than consumers, are increasingly closing the largest rounds. Today was no exception. Analytics startups Clicktale and Skytree raised the most sizable sums. As our own Rebecca Grant whimsically put it in her Clicktale write-up, “every mouse has a story, whether its Mickey and Minnie, Alice in Wonderland’s Dormouse, or the one helping you navigate around the Internet.” A further three enterprise tech companies also secured funding. The moral of the story? It’s wise to invest in enterprise. Here’s our full list of the startups that received funding today. The company that applies machine learning for “big data” analytics raised $18M in funding led by U.S. Venture Partners, joined by joined by USP, the world’s largest package delivery company, and Scott McNealy, co-founder and former CEO of Sun Microsystems. Clicktale has raised $17 million for its ‘in-page analytics’ technology that provides insights into customers’ online behavior, down to the last click. Read the full story on VentureBeat. Dwolla’s software allows anyone or anything connected to the Internet to move money. Individuals all the way up to enterprise companies can use the technology to send, request, and accept money from anyone else, and transactions can be conducted through email, mobile devices, and even social media. Read the full story on VentureBeat. The Singapore-based startup raised $12 million from an angel investor. The company has a cloud-based IT startup, and today launch an enterprise app store. APC hopes to change the way payment products are developed. Ruby Ribbon claims to be the first company to sell unique shaping apparel through technology-enhanced, person-to-person social commerce. The company’s second round was led by Mohr Davidow Ventures and joined by the company’s original investor, Trinity Ventures. Looks like Lockerz, the social commerce and photo sharing service, may be moving on to yet another chapter in its life. After laying off 30% of its Seattle HQ staff, closing down its San Diego office, and shutting down its Plixi photo sharing API earlier this year, the company is now launching a new fashion site, Ador. A tipster tells us that Lockerz is shutting down altogether and relaunching, but as of right now, the Lockerz site looks like it is still operational. Ador, meanwhile, is in an invite-only phase. We have reached out to the company to confirm what is going on. Lockerz has to date raised at least $43.5 million in funding. Investors include Kleiner Perkins Caufield & Byers, Liberty Media, DAG Ventures and Live Nation, with the most recent round, a $7.5 million venture round, coming in October 2012. While we can’t confirm whether or not Lockerz is pivoting or rebranding, what we can see is that Lockerz has registered a trademark for “Ador,” along with “A Ador” and (bizarrely) “A”. “A ADOR is a product and service created by Lockerz, Inc.,” the Trademarkia entry reads. Ador is also currently hiring an iOS developer in Seattle. An about page on Ador.com, meanwhile, describes a fashion-focused site where people can collect images that they like and share them with others, as well as use the site to purchase the items, and track when tagged items go on sale. In other words, Ador’s services sound similar to some of those being offered on Lockerz, which has been transforming itself from a photo sharing service into a photo sharing service with a fashion/celebrity/e-commerce angle to it. “Discover the latest in fashion, beauty and entertainment,” the Lockerz site reads today. “Get rewarded for sharing what you love with our community of stylish shoppers.” In February 2012, Lockerz updated its look with a Pinterest-style grid layout and infinte scrolling. When we covered the layoffs in January, we noted that key employees, such as head of mobile Daniel Marshalian, were still working at the company. According to Marshalian’s LinkedIn profile, he has now left. Mark Stabingas — who took over as CEO of Lockerz after founder Kathy Savitt the role left to become CMO of Yahoo — is still there. It’s not clear if Savitt remains chairperson, a role she took when Stabingas took over. Coursera, one of the driving forces behind the MOOC (massive open online course) movement reshaping higher education, is bringing its disruption to K-12 schools. But its target audience isn’t the students; it’s the teachers. On Wednesday, the startup said it had partnered with several schools of education and other institutions and museums, including schools of education at Johns Hopkins University and the University of Virginia, the American Museum of Natural History and the Museum of Modern Art, to bring free professional development courses to teachers via the web. “We looked at our technology and realized that for 7-year-old kids, streaming university content for them wasn’t going [to be effective]. But the lever for that 7-year-old kid may be to help them get a better teacher,” said Coursera co-founder Andrew Ng. Most school districts don’t have the resources to offer quality professional development programs that match the interests and needs of individual teachers, he said. Typically, teachers are pulled out of their classrooms for a few days a year (disrupting instruction for their students) and are required to follow the same program, regardless of the subjects they teach or their strengths and weaknesses. With its new courses, Coursera said teachers can focus on the topics, areas of expertise and pedagogies that are most relevant for them. For example, early courses will cover topics including content development, the common core curriculum, character education and implementing flipped classroom and blended learning strategies. The courses will follow the same format as other MOOCs on Coursera and will adopt the startup’s peer-grading approach. For example, teachers could write a lesson plan or videotape themselves teaching and then receive feedback from other members of the course. Teachers, educators and even parents can take the new courses for free but, as with other Coursera classes, they can pay $30 to $100 for the “Signature Track” option, in which their identity is verified and they receive a certificate at the end of the course. Coursera’s hope is that, in time, school superintendents will award teachers continuing education credit for the courses. But Ng said that, so far, they’ve only had informal conversations with superintendents about the possibility. Given the attention MOOCs have received in the last year, it’s not so surprising that the phenomenon is spreading to K-12 education. Conversations are underway about adapting the MOOC format for K-12 students and other educational organizations are offering one-off MOOCs for teachers and administrators. But Coursera is the first of the major MOOC providers to make a foray into K-12 education and given the debate it and its rivals Udacity and edX have stirred among colleges and universities, it will be interesting to see how it is received by K-12 educators. 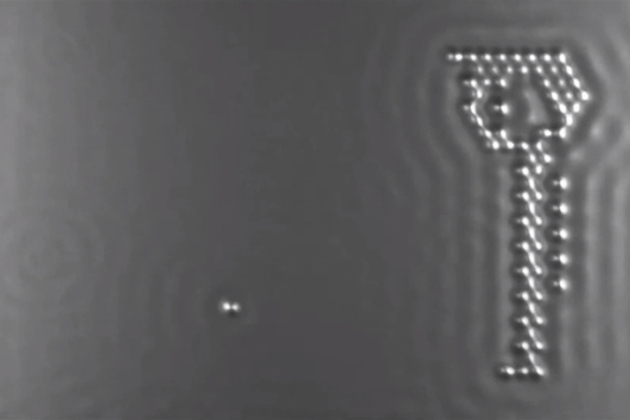 Researchers at IBM say they have made the world’s smallest movie. They used a tiny microscope to move individual atoms around in the film, A Boy and His Atom, to create a stop-motion animated film that is going down in the Guinness World Records as the smallest film. The project was the work of researchers at IBM’s Almaden Research Center in San Jose, Calif., and it is aimed at educating children about the wonders of science and technology. The researchers used a scanning tunneling microscope, a device that won IBM researchers a Nobel Prize when it was invented in the 1980s. It can be used to manipulate individual atoms, and, for fun, the researchers also used it to create Star Trek images in recognition of the upcoming Star Trek Into Darkness movie. Andreas Heinrich (pictured below), principal investigator at IBM Reseach, said in an interview with VentureBeat that his team used the tool to move thousands of atoms into precise spots, creating 242 frames of stop-motion scenes. The goal, he said, is to convey science to the outside world in order to get kids interested in science education. In the film, a boy named Atom (consisting of about 130 atoms) befriends a single atom. He plays catch with the atom, dances, and bounces on a trampoline. The film is set to a playful musical track. Christopher Lutz, research scientist at IBM Research, said the scanning tunneling microscope weighs two tons and operates at a temperature of negative 268 degrees Celsius and magnifies the atomic surface more than 100 million times. The device was able to move around carbon monoxide molecules, or carbon and oxygen atoms combined together. In the images, you only see one atom, or dot, because you are looking at it from above. It took about 10 days of 18-hour shifts to get the animations right. The device can be remotely operated on a PC. The researchers control a super-sharp needle along a copper surface to “feel” atoms. The needle is just 1 nanometer, or a billionth of a meter, away from the copper surface. It can physically attract atoms and molecules on the surface and pull them to a precise location on the surface. The moving atom makes a unique sound that is critical feedback in determining how may positions it has actually moved. IBM researchers have studied nanoscale materials for decades to explore the limits of data storage. The same team that made the movie also recently created the world’s smallest magnetic bit. They were able to create a single bit of information using just 12 atoms. By comparison, it takes 1 million atoms to store a bit of data on a modern computer. Heinrich said the IBM scientists also used the tiny microscope to create the tiniest Star Trek logo (pictured above) and the “live long and prosper” sign made popular by the Star Trek character Spock. Heinrich said he has been working on nanotechnology for more than 15 years, with a focus on building better magnetic materials for data storage. IBM researchers are on a roll. They made working chips modeled on the human brain. They also have created nanomedicine that can kill bacteria where antibiotics fail. 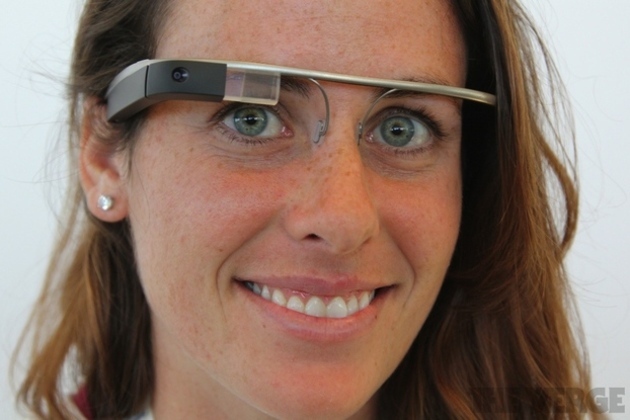 And they recently created liquid-based transistors that might process data like the human brain. HealthBeat 2013 is a new conference showcasing how technology is transforming health care. We’ll explore how IT is driving out inefficiencies on the hospital, practice, and patient levels. Check out full event details here, and register here. Canadian robot money is on the horizon. 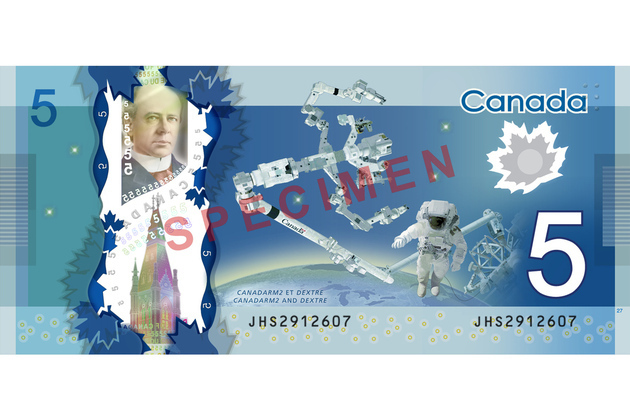 A new $5 note coming in November will feature famous Canadian-made space robots Canadarm2 and Dextre alongside a spacewalking astronaut. The bill is the latest in Canada’s switch from cotton to longer-lasting, recyclable polymer for its national currency, and was fittingly unveiled aboard the International Space Station by Canadian astronaut, musician, and zero-gravity physics instructor Chris Hadfield. The new bill “highlights Canada’s technological achievements that look skyward — our contributions to the international space program,” said Bank of Canada governor Mark Carney. Today at TechCrunch Disrupt NY 2013, there was a brand new batch of startups on display in Startup Alley, and we hit the floor this morning to check them out. There was a healthy mix, including the Italian pavilion as well as a number of mobile and media startups and companies concerning themselves with privacy. We saw a way to create an animated storybook with Toon Hero, a crowdsourced bounty-setting platform for lost items with CrowdFind, a way to motivate group action around an issue with Crowdshout and a museum and culture recommendation and reservation tool with Musement. Overall, it was a varied and extremely interesting mix of companies from around the world. That Twitter account was quickly deleted. But today, LeWeb founder Loïc Le Meur has seemingly confirmed to CNET that he has also been using an official Twitter app for Glass. Webydo is a cloud-based SaaS for designers who want to be able to sell their website design services without having to get their own hands dirty doing any coding or hire a developer to do it for them. The system offers a custom CMS where designers can build the website. Once they’re happy with the design, Webydo’s software converts it into web code for them. The company also hosts the published website. Designs, photos, media and other assets can be imported into Webydo’s “online canvas” where the various elements are assembled via a drag and drop interface to create the finished website. When the designer hits publish, the code is assembled by Webydo’s code generator — which Grizim says is patent-pending. This is also where the payment kicks in: the tools are free at the point of use, but published websites cost $10 per month. The startup says it is hosting more than 50,000 websites created with its tools so far during its closed beta. It opened this up yesterday to the U.S. market — prior to that it was mostly operating in Israel and Europe. The main competitor he cites when asked about rivals in the space is Adobe Muse. But whereas that’s a desktop application, Webydo is a cloud SaaS offering — and that’s it’s “main advantage”, says Grizim. As well as offering the design studio free at the point of use to designers, Webydo’s CMS is also free for the designer’s customer to use to edit their website. “We are offering our designer partners to build their own business — they get a full business ready to use, and they can create the websites for their customers,” says Grizim. Websites can be created in a few hours “from scratch”, he adds. The company has raised $1.8 million in seed and Series A funding, from investors in the U.S. and Israel, and has raised $2.6m so far of a $5m target for its Series B.
Sidekick Cycle is a smartphone game that hopes to do good — not by scoring big on Metacritic but by putting bikes in the hands of African children. Half of all proceeds from Global Gaming Initiative’s (GGI) debut title, due out on iOS and Android platforms this summer, will go directly to international charity World Bicycle Relief. In real terms this means for every 387 downloads of the 99 cent game, a bike will be “unlocked” and put into the hands of someone who needs it. For Sarquis, a relative newcomer to the world of gaming, the goal is to connect people to worthwhile causes through their smartphones. Providing a clear and tangible goal is key to this, and Sidekick Cycle will support engagement by keeping its players updated on the number of bikes funded. Sidekick Cycle is releasing on iOS in early June with an Android version following a few weeks later. More than 2,000 people have filled up the historic Manhattan Center with our biggest hackathon and Startup Alley yet, and a set of incisive discussions with tech leaders. Now it’s time for the battlefield finals, and we have our seven finalists picked out. But first, tomorrow will feature Ashton Kutcher, Joe Lonsdale, a big panel on transportation, an interview with hardware startup leader Limor Fried, the Rap Genius guys, and more. Finals judges include Nancy Peretsman (Allen & Company), Roelof Botha (Sequoia Capital), Chris Dixon (Founder Collective), David Lee (SV Angel), Michael Arrington (CrunchFund), and Chi-Hua Chien (Kleiner Perkins). Enigma.io makes it easy to analyze data from more than 100,000 data sources, and is already being used by journalists to break stories and financial firms and companies to make smarter business decisions. Floored scans office spaces, apartments and houses using 3D camera technology and proprietary software to build customizable 3D models for real estate purposes. Glide lets you enjoy video chat on your own schedule, and has made it into the finals round from our Startup Alley. Handle helps you manage your email overload via a rich web app as well as a companion native iOS app that integrates with Gmail (and soon Microsoft Exchange and Yahoo). HealthyOut provides users with personalized menus of food from local restaurants, set up as a subscription delivery service to help them lose weight or just eat better overall. SupplyShift is an enterprise tool that lets companies and organizations track everything that’s going on with suppliers around world, collecting sustainability data to help them reduce risk exposure. Zenefits helps small businesses manage payroll, health care and other human-resources services for employees. Yahoo is apparently no longer interested in purchasing France-based streaming video Dailymotion, according to a Wall Street Journal report today. The news about Yahoo’s potential deal emerged last month, with the company rumored to be buying as much as 75 percent of Dailymotion for an estimated $300 million. The portion is currently owned by France Telecom SA (of which the French state is a major shareholder of). But seriously at this point, I’m not sure any American company will want to deal with the baggage associated with acquiring a large French tech company, or at least not at the price originally offered. France isn’t exactly a favorite among big tech companies, anyways. The country fined Google for breaching privacy rules over its Google Maps service (as in, because Google provides maps.) And more recently when it fined Google €60 million ($79 million) for providing its Google News service without paying royalties to French media companies. Yahoo’s strategy with Dailymotion could have turned it into a fierce competitor to rival Google’s streaming user-generated video site YouTube. It would have also helped satisfy Yahoo CEO Marissa Mayer’s long-term goal of relying less on expensive content licensing deals in favor of user generated media. The report indicates that Montebourg wanted to renew talks with Yahoo for a deal that didn’t let the company have a majority stake in Dailymotion, which Yahoo wisely walked away from. Here’s a startup hoping to fill the gap left by the demise of Facebook Questions: French-Belgian startup Poutsch, now based in New York and exhibiting here at TechCrunch Disrupt NY’s Startup Alley, has built a platform for tracking opinion data by crowdsourcing market research, which is incentivised through a free-to-use-and-browse social opinion network. The startup describes itself as a “question & opinion” platform — rather than a Q&A play like Quora. “The difference is we’re not looking for one answer,” says co-founder Felix Winckler. Poutsch’s platform takes the temperature of whatever its users are curious enough to ask about — so everything from ‘what’s your favourite fruit pastille?’ to ‘are you still using Mailbox?’. Poutsch’s platform lets users ask, answer and view questions, read opinions and look at charts displaying how the data breaks down by variables, such as location, gender and age. They can also follow other users and share their questions to their own network to keep the opinions flowing in. As you’d expect for a site that needs user-generated content to function, Poutsch is free to use, as well as for third-party sites to use its widget to embed polls. The ultimate aim is to monetise the platform by selling opinion data to advertisers, marketers, product manufacturers and so on, says Winckler. Poutsch launched a public beta back in January. An iOS app is due soon. It says it’s acquired “thousands” of users — both individuals and organisations — to date but won’t be more specific. It’s currently live across 160+ countries. The big challenge for Poutsch will clearly be acquiring enough users to generate the volumes of data it will need to monetise its platform. The most answered questions on the site mostly have only a few hundred responses apiece, while many trending questions have just tens of responses, so there’s clearly some work to do there. But it’s still in beta — with a “hard launch” due in about a month. Netflix may have more original programming coming in the months ahead, but the company is also going to be losing quite a few titles as well. 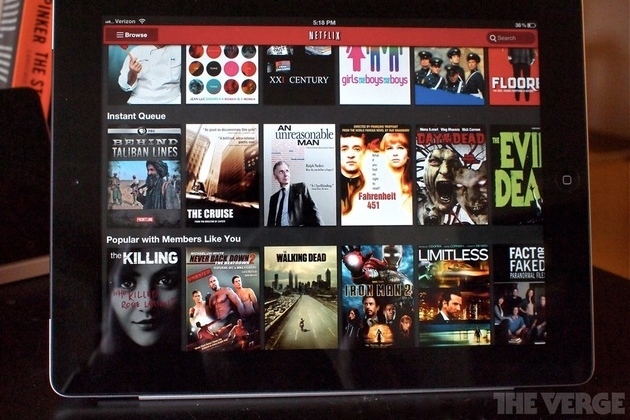 According to InstantWatcher, a site that catalogs the comings and goings of Netflix’s streaming catalog, the service will be saying farewell to 1,794 different titles in May. That number includes 15 seasons of South Park, old horror movies like Audrey Rose, and James Bond classics like Dr. No and Goldfinger. According to Slate, the drop comes because several licensing deals Netflix has in place with studios like MGM, Warner Bros., and Universal are expiring. A federal court has sided with Craigslist in the early stages of a bitter dispute over whether upstart data and apartment listing sites can draw on information posted by the classified giant to offer rival services. In a ruling handed down Monday in San Francisco, US District Judge Charles Breyer refused the request of PadMapper, 3 Taps and other defendants to throw out a laundry list of claims by Craigslist, which is accusing the defendants of hacking, copyright infringement and more. In the view of Craigslist, the newer companies are plundering data which it has collected and compiled at great effort. The defendants, meanwhile, say Craigslist is monopolizing data that belongs to users while offering an ugly, out-dated service. The lawsuit broke out last summer. In a key part of Tuesday’s highly-technical decision, the judge examined whether Craigslist’s terms of service meant that users had given the site permission to use their ads as the basis for copyright lawsuits. The judge said Craigslist didn’t obtain such permission, except for a short period in the summer of 2012 when the site changed its terms of service — before backing down in the face of a popular backlash. What this means is that Craigslist can rely on users’ ads to go forward with its copyright lawsuit, but only those ads written between July 16 and August 8, 2012. The judge also said said that Craigslist may have its own copyright over the way it has compiled the ads, though it will still have to prove that this compilation is an “original” artistic work. The hacking portion of the decision, which is based on the federal Computer Fraud and Abuse Act and a similar law in California, is also nuanced. The judge wrote that the companies’ attempts to access Craigslist data after receiving cease-and-desist letters might be “unauthorized access” under the laws, but implicitly suggested that the laws are out of date. The judge also gave Craigslist a minor victory by agreeing to shelve counter-claims from Padmapper and 3Taps over the monopoly issue. The defendants won their own minor victory when the judge threw out Craigslist’s conspiracy claims. So what does all this mean? Monday’s decision is very preliminary and was about what can stay in the case — the real action will start at the summary judgment stage, likely later this year, where each side can try to win on a matter of law. In the bigger picture, the case is important because it is helping to set the rules over the degree to which companies can treat data controlled by other firms as a public good. Just a few days after Uber got the official go-ahead to operate under a New York City pilot program for taxi-hailing apps, the UberTAXI service has gone live. There are a few limitations at present, however. 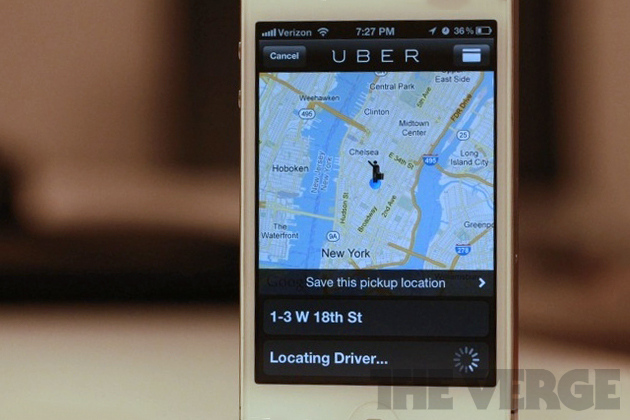 The app doesn’t support automatic payments, so you’ll have to remember to pay your driver the regular way, and Uber warns that cabs may be in short supply to begin with. You’ll also have to explicitly request a taxi rather than a black car, and you won’t be able to use UberTAXI to travel from airports because of regulatory pitfalls. Still, the service’s NYC resurrection six months after it shut down is a major milestone in the long-running battle for taxi-hailing apps to gain official acceptance.